Casa Concha, Santa Catalina Ancha 320, Cusco. Admission S/.20, S/.10 students. open 9am-5pm Mon-Sat. The Santa Catalina Convent and Museum (Monasterio y Museo de Arte de Santa Catalina) was built over the ruins of the ancient Acllawasi, or "House of the Chosen Women" one of the most important Inca buildings overlooking the main plaza. These "Virgins of the Sun" as the Spanish called them, were devoted to the cult of the Sun God and wove exquisite textiles of vicuna and alpaca for the Inca and ceremonial purposes as well as preparing the sacred chicha beer. Many were chosen to bear the Inca's children. After the Conquest the Acllawasi became home to a cloistered order of nuns who still occupy part of the building today. Lucia Isabel Rivera de Padilla founded the Santa Catalina Convent in 1601. She also founded the beautiful convent of the same name in Arequipa several years earlier. The Santa Catalina convent was named after Saint Catherine of Siena, who was the founder of the female part of the Dominican Order. Today the convent houses a religious art collection, including paintings from the famous Escuela Cusquena. An eclectic collection of items from Cusco's history chronologically arranged but often poorly labelled. 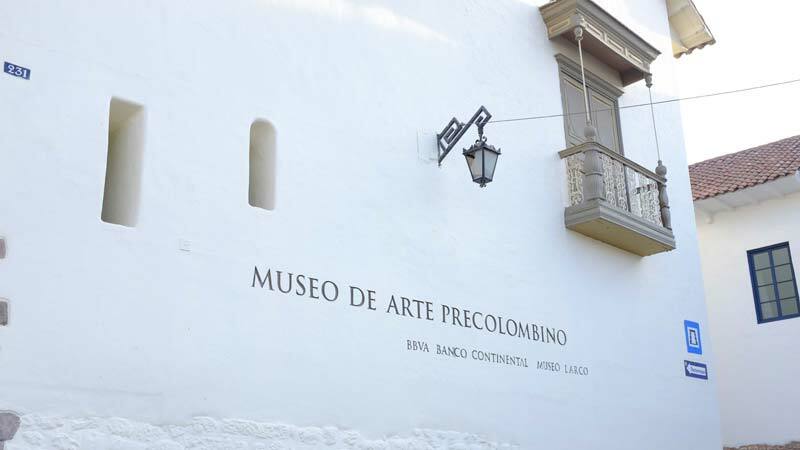 Artefacts include some Nazca mummies, gold ornaments, plenty of ceramics, photos of Cusco just after a major earthquake, Inca weavings and some paintings. Although all very interesting I would recommend visiting the museums listed above before this one. 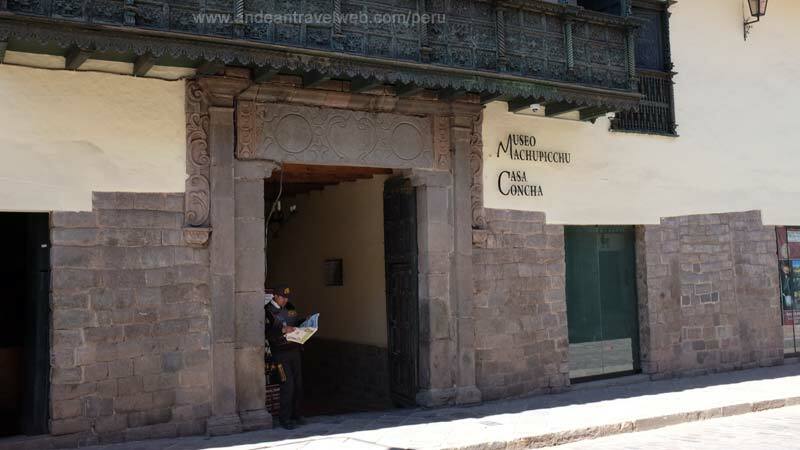 You may have had enough off museums before you get this far - however entrance is included with the Cusco Tourist Ticket so may be worth a quick visit. Built on the foundations of the palace of the Inca Roca, this remarkable building once belonged to the Marquis de Buenavista and later became the Archbishop's Palace. The museum has a fine collection of colonial paintings and furniture. 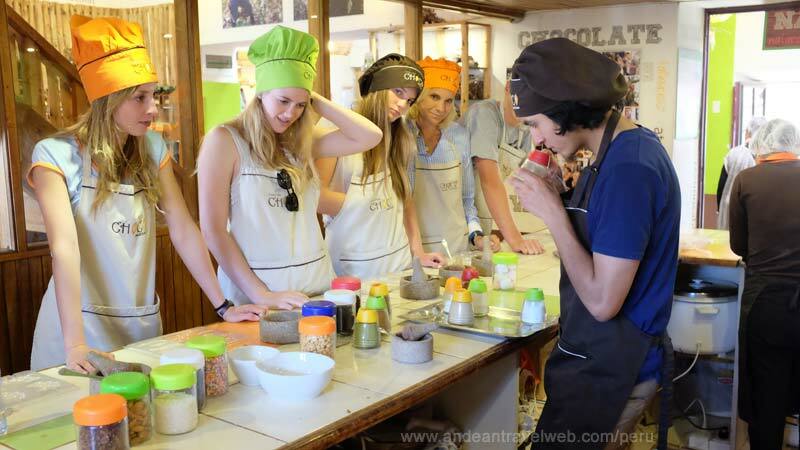 Small privately run museum dedicated to cacao and the art of making chocolate, French owned. The tours fill up pretty quick so we recommend that you book in advance online if you can. Allow about 2hrs 30mins for the tour/workshop. You can also just pop in for a great fair-trade hot chocolate, chocolate fondue or crepes & ice-cream. Always a winner with the kids. Staff speak excellent English. Small store & restaurant area. Avenida El Sol, Cusco (down Avenida El Sol just past the turning left for the Qoricancha). Admission included with the Boleto Turistico. Not much to say about this rather small, uninteresting, underground archaeological museum apart from the fact that if it wasn't included on the Boleto Turistico not many people would make the effort to go. Enough said.